I thought I’d heard all of the reasons why people bought a hot tub-ranging from relaxation to family fun. 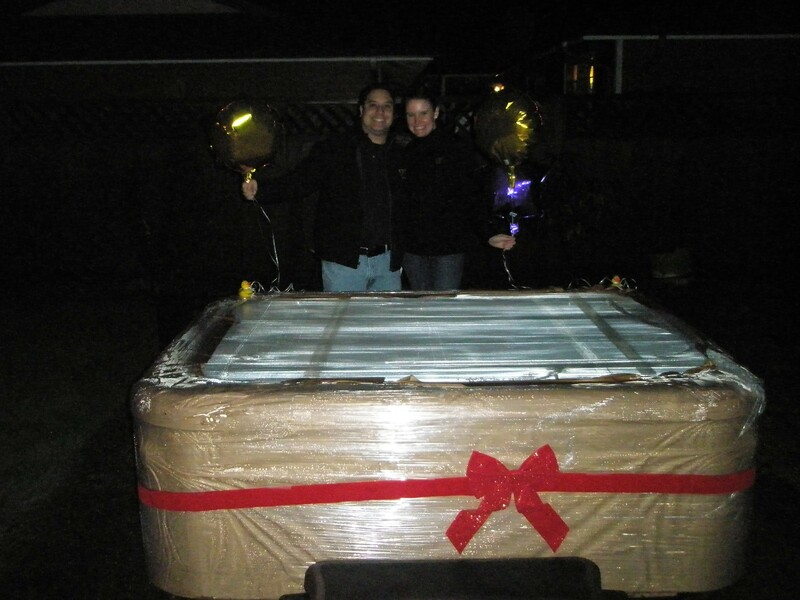 But this is a very rare and touching story about a Hot Spring Spa purchase by Tim Aquino a Olympic Hot Tub Company Hot Spring Spa Envoy owner. Tim installed his spa last May and has loved it ever since. A month ago he was in the Olympic Lacey store telling his salesperson, Exelane Lanzaga, what a tough year his father had had after several deaths in the family. Suddenly Tim had an inspiration. He decided to surprise his father, Arnold, with a new spa. He selected a model and arranged for delivery. 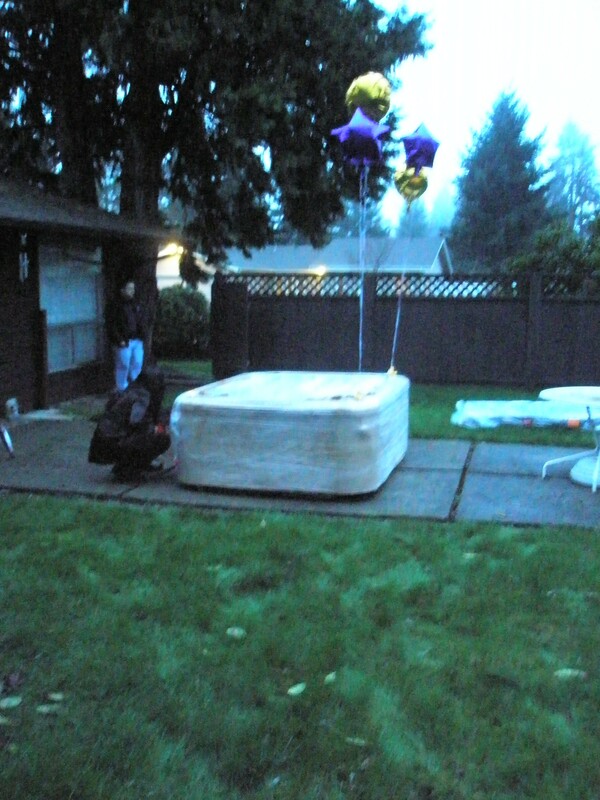 But first had to think of a way to have his father out of the house when the spa was delivered. Exelane found a restaurant gift certificate from a past promotion which she gave to Tim. Tim arranged to take his father out for lunch while the spa was being delivered. Exelane was there to photograph the red bow delivery on Saturday, February 13th as father and son hugged. She had gone to Arnold’s home earlier in the day and attached balloons to the spa to really make it a party. Arnold was totally surprised and immensely touched by his son’s generosity and thoughtfulness. Now he has his own Hot Spring Jetsetter with a MotoMassage jet for a full back massage to use every day. What a great story! 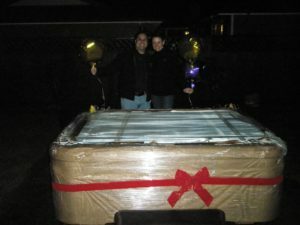 What prompted you to buy a hot tub? I’d love to hear your story.